Flying into Phoenix, Arizona, you see that hundreds of homes underneath you have swimming pools. Vast gardens of deep blue line backyards for miles and miles. Arizona is hot! Phoenix actually has five months of summer. The months of May, June, July, August, and September are considered summer season! There’s something else floating around these backyard pools. It’s called liability! 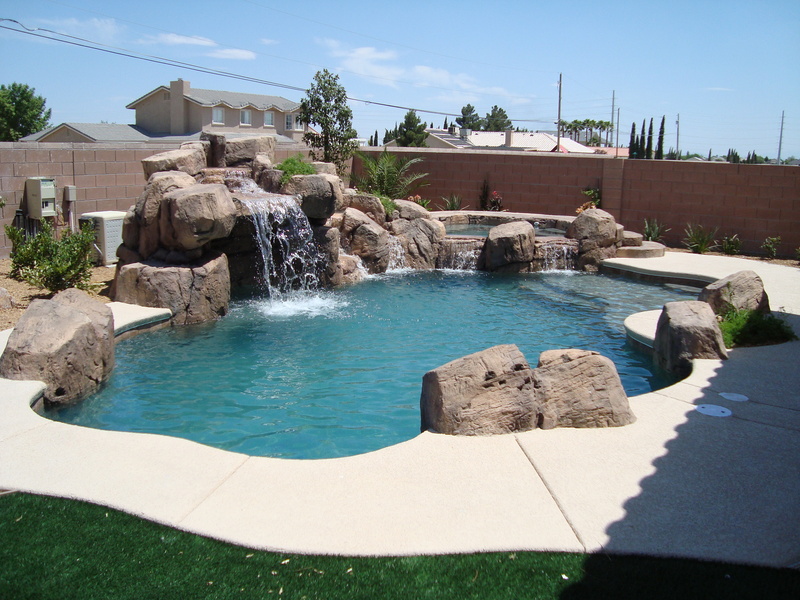 Oh, cool off in the pool, next to the pool, in the house just looking at the pool, but mostly, make sure the pool is INSURED. Insurance should be the first place you look for information. The consequences if you don’t aren’t cool at all! You will be hotter under the collar than triple digit heat if someone gets injured or (gasp!) killed in your pool. Just think about it, you could lose your home paying for the privilege of chillin’ in your own backyard oasis, if you aren’t insured and someone gets hurt. Keep grates and drain covers in good shape and secured in place. Alert your family and guests to stay away from these devices, as the suction from drain outlets can be strong enough to cause entrapment of hair or body parts, which can potentially cause a person to drown. Adults are just as likely to make mistakes and drown accidentally in your pool. Just think about a certain guy you know, who, if he was alone with your pool for a weekend, would possibly be found floating at the bottom with a beer still clutched in his hand? Don’t know anybody like that? What about you? Even if you’re not Jay Gatsby, how responsible are YOU when the football buddies come over? How about your wife and her book club friends. Ever notice how many bottles of wine are alongside the trash after one of THOSE meetings? Follow these instructions and your life will be easier! Don’t forget that people are stupid sometimes! Your neighbor’s rude cousin could decide to cool off in your pool because you aren’t home. After that he forgets to lock the gate. Any kid could walk in there and I wonder who will be liable! Arizona is a great place to live. It’s a much more tolerable place when you have AC, a swimming pool, and a cocktail in hand, so make sure you have all the insurance you need behind your back, and you will really relax! We invite you to call one of our insurance agents to see how you can get properly covered on all your insurance policies. I am terrified of my children being around a pool without supervision. I think it is one of my greatest fears is that they might wander out near the pool while I am not looking and possibly fall in. These tips will help reduce the risk. Thanks!